One of the questions we are consistently asked at Mendez Marine is How do I get a Commercial Endorsement? At Mendez Marine we can support you to complete the practical and classroom, or on-line, support courses that you need to gain your endorsement. Which RYA practical certificates / Certificates of Competence can be commercially endorsed? NB. These practical certificates need to be supported by a shore-based (Theory) completion certificate. So if you take the RYA Day Skipper, Coastal / Yachtmaster theory courses online you will need to arrange to have the exam element adjudicated. Mendez Marine can arrange that for you for a small fee. You will also need to complete the following support courses and complete a Medical. More detailed information about Commercial Endorsement can be found on the RYA site click here. 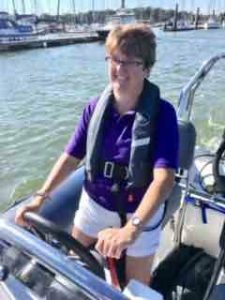 Details and information on all these courses including prices, dates and booking procedures can be found in the RYA Courses section of this website. Alternatively contact us here or give us a ring on 01489 588977.